Imagine being a poor person and getting to choose your country. Which one would you select? The answer probably depends on your goals in life. If you want to emulate “Lazy Robert” and be a moocher, you could pick Denmark. You’ll surely get more than enough money to survive. Denmark’s also not a bad choice if you have a bit of ambition. 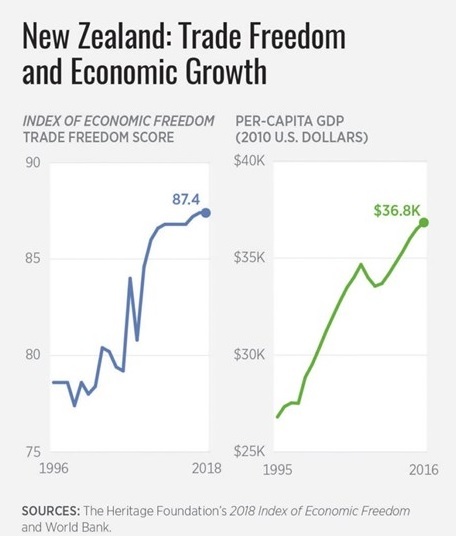 It ranks #16 in the latest edition of Economic Freedom of the World, largely because it has a very laissez-faire approach on trade, regulation, and other non-fiscal policies. So there’s a decent chance you could climb the economic ladder. But if you have lots of ambition and definitely want a better life for your children and grandchildren, you’d presumably pick a nation such as Singapore, which routinely gets very high grades from Economic Freedom of the World. 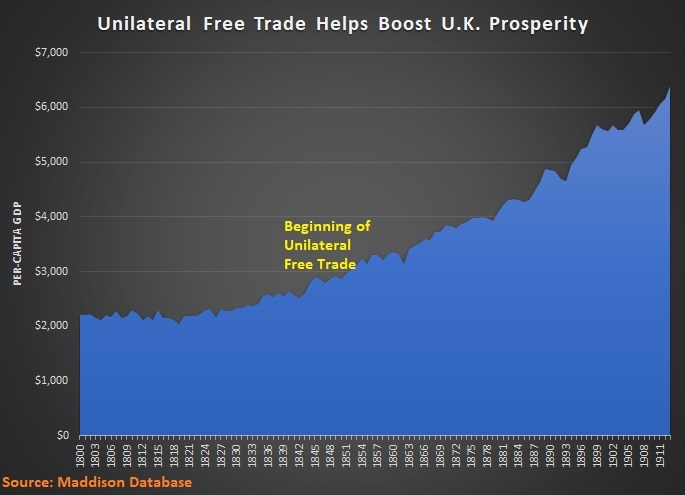 There’s a lot of economic liberty, which has resulted in huge improvements in living standards. Indeed, people in Singapore are now much richer than Americans. The last thing you would do, however, is pick a stagnant country such as Greece. Or a miserably impoverished nation such as Zimbabwe. Unless you’re one of the buffoons at Oxfam. That “charity” just produced an inequality study that says Singapore is one of the world’s worst nations, ranking far below places where people are very poor with very bleak lives. Here’s how Oxfam describes its report. In 2015, the leaders of 193 governments promised to reduce inequality under Goal 10 of the Sustainable Development Goals (SDGs). Without reducing inequality, meeting SDG 1 to eliminate poverty will be impossible. In 2017, …Oxfam produced the first index to measure the commitment of governments to reduce the gap between the rich and the poor. The index is based on a new database of indicators, now covering 157 countries, which measures government action… The report recommends that all countries should develop national inequality action plans to achieve SDG 10 on reducing inequality. These plans should include delivery of universal, public and free health and education and universal social protection floors. They should be funded by increasing progressive taxation and clamping down on exemptions and tax dodging. In other words, the study is a measure of whether nations have punitive welfare states, not whether poor people have better lives. The assertion in the second sentence that poverty can’t be reduced without reducing inequality is especially absurd. Unless, of course, you choose a dishonest definition of poverty (which is what we get from leftist groups like the UN and OECD, not to mention the Equal Welfare Association, Germany’s Institute of Labor Economics, and the Obama Administration). But let’s focus on Singapore. Here are some excerpts from a Reuters story on the controversy over that nation’s poor score. Oxfam on Wednesday rejected Singapore’s defense of its low taxes after the NGO ranked the wealthy city state among the 10 worst-offending countries in fuelling inequality with its low-tax regime. Oxfam’s Commitment to Reducing Inequality (CRI) index ranked Singapore 149th of 157, below Afghanistan, Algeria, and Cambodia, and marginally higher than Haiti, Nigeria and Sierra Leone. …Oxfam’s head of inequality policy, Max Lawson, said the impact of Singapore’s tax policy went beyond its borders, serving as a tax haven for the rich and big corporations. …Singapore Social and Family Development Minister Desmond Lee said on Tuesday…“Yes, the income tax burden on Singaporeans is low. And almost half the population do not pay any income tax,”…“Yet, they benefit more than proportionately from the high quality of infrastructure and social support that the state provides,” he said. “In Oxfam’s view, Singapore’s biggest failing is our tax rates, which are not punitive enough.” Lee also said 90 percent of Singaporeans owned their homes and home ownership was 84 percent even among the poorest 10 percent of households. “No other country comes close,” he said. Minister Lee is correct, of course. Singapore is a great place to be poor, in part because the bottom 10 percent in Singapore would be middle class or above in many of the nation’s that get better scores from Oxfam’s ideologues. But mostly because it’s a place where it’s possible to become rich rather than remain poor. There are some other aspects of the Oxfam study that merit attention, including the curious omission of some of the world’s most left-wing nations, such as Venezuela, Cuba, and North Korea. Also, I’d be curious to learn why Hong Kong isn’t ranked? Taxes are even lower and there’s even less redistribution in Hong Kong, so maybe it would have been last rather than merely in the bottom 10. Was Oxfam worried about looking foolish, so they left prosperous Hong Kong out of the study? That’s my guess. The last thing the left wants is for people to understand that poor nations only become rich nations with free markets and small government. The bottom line is that Oxfam is an organization that has been hijacked by hard-left activists. Given it’s track record of shoddy reports, it’s now a joke rather than a charity. P.S. 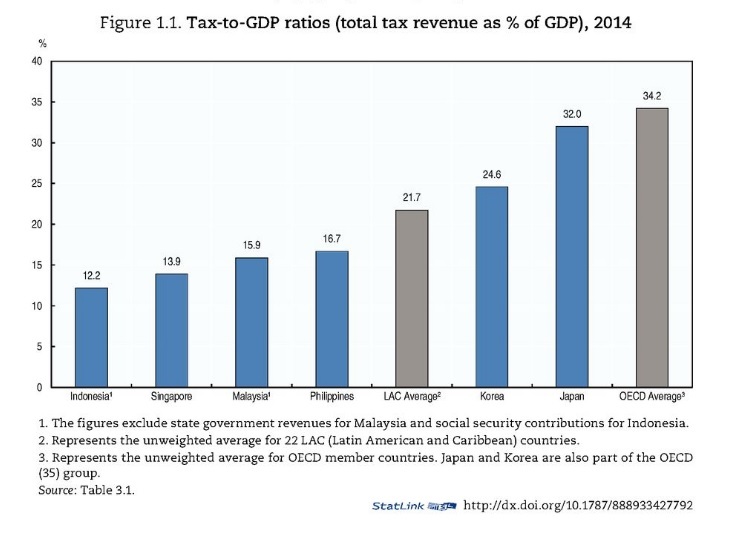 The OECD also produced a shoddy study that grossly mischaracterized Singapore and totally ignored Hong Kong. 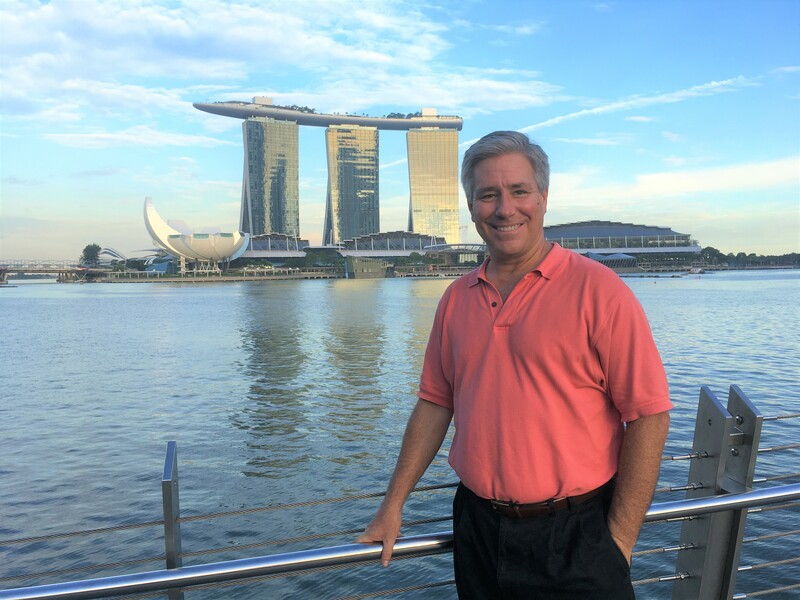 Singapore is one of my favorite nations for the simple reason that it consistently gets very high scores from Economic Freedom of the World and the Index of Economic Freedom (as well as from Doing Business, Global Competitiveness Report, and World Competitiveness Yearbook). I also greatly admire Singapore’s strict adherence to my Golden Rule for a 10-year period beginning in the late 1990s. Government spending actually shrank by a bit more than 1 percent per year, on average, over that decade. This reduced the burden of government spending to just 12 percent of economic output, almost as low as it was in North America and Western Europe in the 1800s. Unfortunately, the public sector has since crept back up to 20 percent of GDP, but that’s still very low compared to the rest of the developed world. What’s especially attractive is that the welfare state is very small in Singapore. According to the IMF (see page 44), expenditures on “social development” are only about 8 percent of GDP, and that category includes education and health care. If you peruse Singapore budget documents, spending on “transfers” is well under 5 percent of economic output. Either figure is far below levels of redistribution in other developed nations. One of the reasons the welfare state is so small is that individuals are required to set aside their own money for health and retirement. 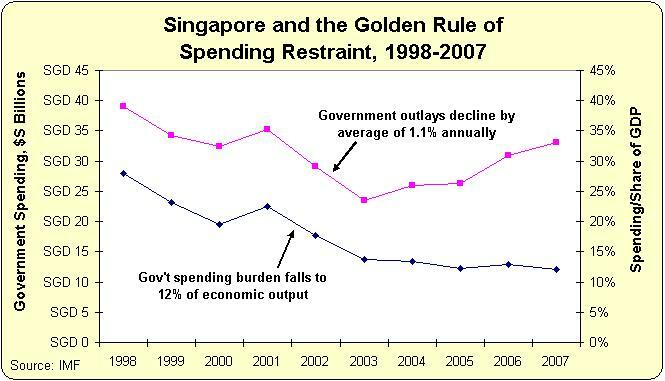 And since the burden of spending is modest, that enables Singapore to have a non-oppressive tax regime. A corporate tax rate of 17 percent (less than half the U.S. level). No death tax (unlike most other developed nations). No capital gains tax (unlike most other developed nations). Very little double-taxation of interest and dividends (unlike most other developed nations). That’s the good news. The bad news is that a value-added tax was imposed back in the 1990s. Though the rate has stayed low (so far) and hasn’t (yet) become a money machine for big government. Singapore is also very good in areas other than fiscal policy. It is a shining example of the benefits of open trade. It ranks very highly for rule of law. And there’s very little regulation. Indeed, Singapore has consistently ranked #2 for economic freedom in recent decades, trailing only Hong Kong (the U.S. briefly edged out Singapore for second place after all the market-friendly reforms of the Reagan and Clinton years, but now we trail by a wide margin thanks to the statism of the Bush-Obama years). Here’s a graph from Economic Freedom of the World showing how Singapore started at a decent point in 1970 and then had a 20-year period of improvement (most because of deregulation and better monetary policy). As I repeatedly argue, if you want good economic results, you need good policy. And that’s exactly the story of Singapore. I’m currently in the country because I spoke earlier today at a conference on global investment (the audience got quite excited when I explained the effort to defund the OECD). Walking the streets, it’s hard not to be impressed by the widespread prosperity of the jurisdiction. Sleek buildings. Fancy shops. Lots of professionals. And ordinary people are the biggest winners. 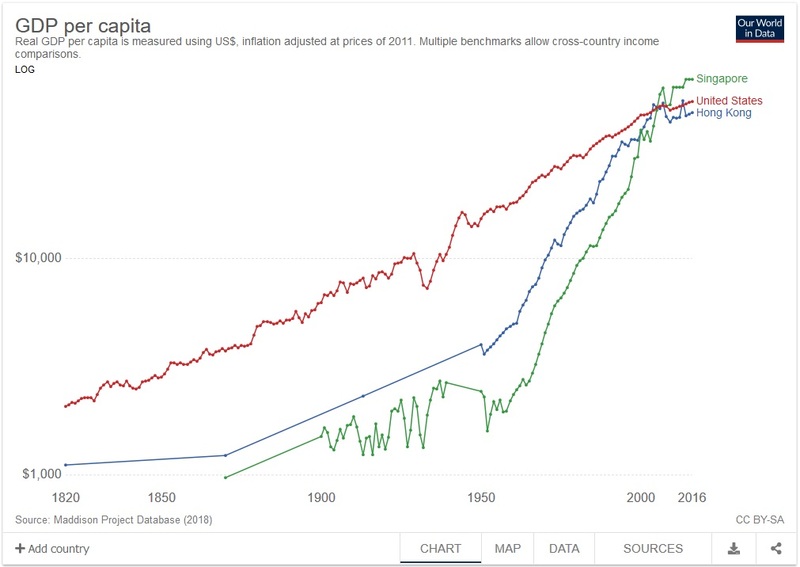 Here’s a remarkable chart from Human Progress showing per capita GDP (in $2015 inflation-adjusted dollars) in Singapore and the United States, along with the world average. As you can see, Singapore used to be far below the United States and somewhat below the world average. Now it is one of the wealthiest places on the planet. Singapore’s jump from poverty to prosperity is astounding. What’s really remarkable is that the country was as poor as Jamaica back in the 1960s. But thanks to rapid economic growth, the people of Singapore enjoy very high living standards today. The moral of the story is that ordinary people in Singapore enjoy prosperity because the government was smart enough to focus on growth and didn’t worry about inequality. Here’s what Marian Tupy, one of my colleagues at the Cato Institute, wrote about the country’s incredible growth. The incredible transformation of Singapore from a sleepy outpost of the British Empire to a global commercial and technological hub was partly facilitated by a very high degree of economic freedom. 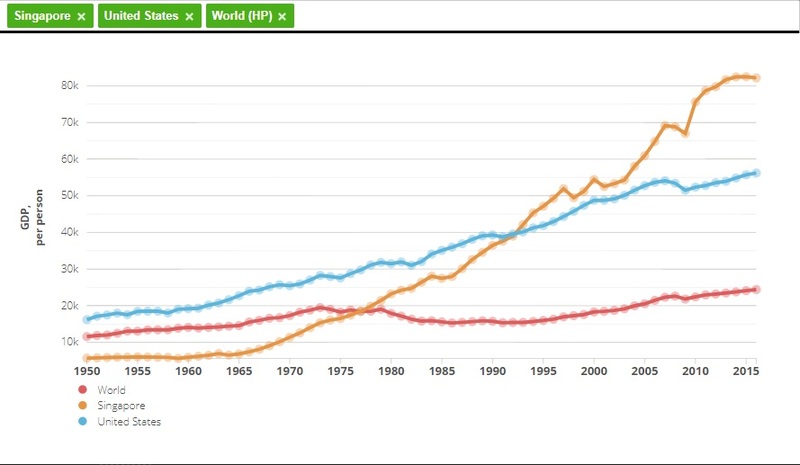 …As late as 1970, per person income in Singapore was 54 percent of the global average. Today it is 321 percent of the global average. Singapore is very pro-market, but it’s not very pro-liberty. In an article for the Foundation for Economic Education, Donovan Choy highlights some of the nation’s shortcomings. 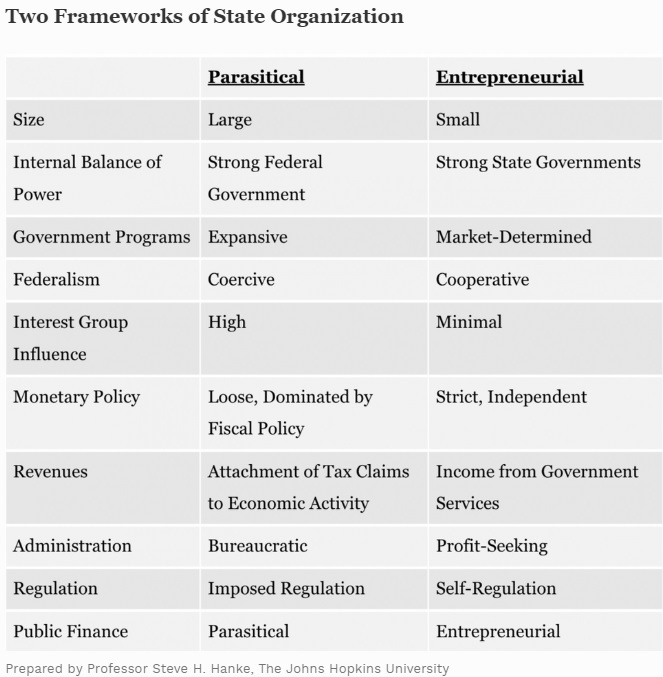 Within libertarian circles, Singapore generally enjoys a good reputation for its economic freedom. The Housing Development Board (HDB), the public housing arm of the state, houses more than 80% of the population in high-rise apartment homes. …Education is largely monopolized by the state from the primary school level up until the university level… Singapore suffers from a severe lack of press freedom, ranking at an alarming 151 in the World Press Freedom Index… The state also controls public broadcasting from television to radio. …Singapore is perhaps most well-known for its non-tolerance of drugs. Drug users can be jailed or housed in rehabilitation centers for up to three years and drug traffickers face the death penalty. …Singaporean males are also subject to mandatory conscription of up to two years by the age of 18, a law that has been in effect since 1967. Civil ownership of guns are outlawed in Singapore. These are reasons why Singapore does not earn a high score in the Human Freedom Index. But I’m an economist, so I’m still as positively impressed as I was back in 2009. P.S. I went to the iconic Raffles Hotel to visit the iconic Long Bar and drink an iconic Singapore Sling. But my attempt to be a stereotypical tourist was derailed because that part of the hotel is being renovated. Which is probably a good outcome since I learned that the Singapore Sling is a gin-based drink, which presumably would not agree with my sensitive palate. Though I did learn that the last wild tiger in Singapore was killed at the hotel back in 1902. P.P.S. One final policy comment: The bureaucrats at the OECD produced a report on Asian economies and argued that taxes should consume at least 25 percent of GDP to achieve prosperity, which was a remarkable assertion since the report showed that Singapore was the richest nation in the region and has a tax burden barely half that level. That’s an example of what soccer fans call an “own goal.” The OECD wasn’t just being statist, it was being incompetently statist. I’ve looked at some of the grim fiscal implications of demographic changes the United States and Europe. Now let’s look at what’s happening in Asia. The International Monetary Fund has a recent study that looks at shortfalls in government-run pension schemes and various policies that could address the long-run imbalances in the region. Here are the main points from the abstract. Asian economies are aging fast, with significant implications for their pension system finances. While some countries already have high dependency ratios (Japan), others are expected to experience a sharp increase in the next couple of decades (China, Korea, Singapore). …This has…implications. …pension system deficits can increase very quickly, limiting room for policy action and hampering fiscal sustainability. …This paper explores how incorporating Automatic Adjustment Mechanisms (AAMs)—rules ensuring that certain characteristics of a pension system respond to demographic, macroeconomic and financial developments, in a predetermined fashion and without the need for additional intervention— can be part of pension reforms in Asia. More succinctly, AAMs are built-in rules that automatically make changes to government pension systems based on various criteria. Incidentally, we already have AAMs in the United States. Annual Social Security cost of living adjustments (COLAs) and increases in the wage base cap are examples of automatic changes that occur on a regular basis. And such policies exist in many other nations. But those are AAMs that generally are designed to give more money to beneficiaries. The IMF study is talking about AAMs that are designed to deal with looming shortfalls caused by demographic changes. In other words, AAMs that result in seniors getting lower-than-promised benefits in the future. Here’s how the IMF study describes this development. More recently, AAMs have come to the forefront to help address financial sustainability concerns of public pension systems. Social insurance pension systems are dominated by defined benefit schemes, pay-as-you-go financed, with liabilities explicitly underwritten by the government. …these systems, under their previous contribution and benefit rules, are unprepared for population aging and need to implement parametric reform or structural reforms in order to reduce the level or growth rate of their unfunded pension liabilities. …Automatic adjustments can theoretically make the reform process politically less painful and more likely to succeed. Here’s a chart from the study that underscores the need for some sort of reform. It shows the age-dependency ratio on the left and the projected increase in the burden of pension spending on the right. I’m surprised that the future burden of pension spending in Japan will only be slightly higher than it is today. And I’m shocked by the awful long-run outlook in Mongolia (the bad numbers for China are New Zealand are also noteworthy, though not as surprising). To address these grim numbers, the study considers various AAMs that might make government systems fiscally sustainable. Especially automatic increases in the retirement age based on life expectancy. One attractive option is to link statutory retirement ages—which seem relatively low in the region—to longevity or other sustainability indicators. This would at the very least help ameliorate the impact of life expectancy improvements in the finances of public pension systems. … While some countries have already raised the retirement age over time (Japan, Korea), pension systems in Asia do not yet feature automatic links between retirement age and life expectancy. …The case studies for Korea and China (section IV) suggest that automatic indexation of retirement age to life expectancy can indeed help reduce the pension system’s financial imbalances. Here’s a table showing the AAMs that already exist. This is because when the make-believe Trust Fund runs out of IOUs in the 2030s, there’s an automatic reduction in benefits. For what it’s worth, I fully expect future politicians to simply pass a law stating that promised benefits get paid regardless. It’s also worth noting that Germany and Canada have “ex-ante triggers” for “contribution rates.” I’m assuming that means automatic tax hikes, which is a horrid idea. Heck, even the study acknowledges a problem with that approach. …raising contribution rates can have important effects on the labor market and growth, it would be important to prioritize other adjustments. From my perspective, the main – albeit unintended – lesson from the IMF study is that private retirement accounts are the best approach. These defined contribution (DC) systems avoid all the problems associated with pay-as-you-go, tax-and-transfer regimes, generally known as defined benefit (DB) systems. The larger role played by defined contribution schemes in Asia reduce the scope for using AAMs for financial sustainability purposes. Many Asian economies (Hong Kong, Singapore, Australia, Malaysia and Indonesia) have defined contribution systems, …under which system sustainability is typically inherent. Here are the types of pension systems in Asia, with Australia and New Zealand added to the mix..
For what it’s worth, I would put Australia in the “defined contribution” grouping. Yes, there is still a government age pension that serves as a safety net, but there also are safety nets in Singapore and Hong Kong as well. Here’s another table from the study showing that it’s much simpler to deal with “DC” systems compared with “DB” systems. About the only reforms that are ever needed revolve around the question of how much private savings should be required. By the way, even though the information in the IMF study shows the superiority of DC plans, that’s only an implicit message. To the extent the bureaucracy has an explicit message, it’s mostly about indexing the retirement age to changes in life expectancy. That’s probably better than doing nothing, but there’s an unaddressed problem with that approach. It forces people to spend more years working and paying into systems, and then leaves them fewer years to collect benefits in retirement. That idea periodically gets floated in the United States. Here’s some of what I wrote in 2011. Think of this as the pay-for-a-steak-and-get-a-hamburger plan. Social Security already is a bad deal for workers, forcing them to pay a lot of money in exchange for relatively meager retirement benefits. I made a related observation about this approach back in 2012. …it focuses on the government’s finances and overlooks the implications for households. It is possible, at least on paper, to “save” Social Security by cutting benefits and raising taxes. But such “reforms” force people to pay more and get less – even though Social Security already is a very bad deal, particularly for younger workers. P.S. Speaking of which, here’s the case for U.S. reform, as captured by cartoons. And you can enjoy other Social Security cartoons here, here, and here, along with a Social Security joke if you appreciate grim humor.